The notification for second phase of the Gujarat Assembly elections will be issued on Monday. 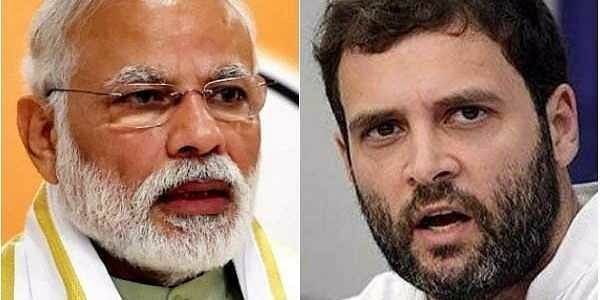 State polls in Gujarat is likely to boil down to Prime Minister Narendra Modi versus Congress vice president Rahul Gandhi. NEW DELHI: The notification for second phase of the Gujarat Assembly elections will be issued on Monday. Polling for this phase will be held on December 14 in 93 constituencies. Yesterday, the Congress released the first list of its 77 candidates for the upcoming polls. The Central Election Committee of the party selected the names in a meeting held in New Delhi. The names had been chosen for the first phase of polls to be held on December 9. Senior party leader Shaktisinh Gohil will contest from Mandvi constituency. Arjun Modhwadia has been given party ticket. The Congress and Patidar Anamat Andolan Samiti (PAAS) leaders have held a meeting in Ahmedabad regarding the reservation issue for Patidar community in the state. The BJP has already announced two lists of 106 candidates. Chief Minister Vijay Rupani will file his nomination from Rajkot later today. The last day of filing nominations for the first phase is on November 21. Of the 182 seats, 89 in Saurashtra, Kutch and South Gujarat will go to polls in the first phase. The result will be announced on December 18.